Which US Passport Applicants Must Present Proof of Citizenship? First-time passport applicants, minors under age 16, applicants whose previous passport was issued before the age of 16, applicants who have changed their name (by marriage or otherwise), applicants whose last passport was issued more than 15 years ago and applicants who are applying to replace a lost, stolen or damaged passport must apply for their passports in person and present proof of citizenship at that time. A valid US passport may be used as proof of citizenship. For applicants who cannot present a valid passport, a certified birth certificate is the preferred proof of citizenship. How Far in Advance Should I Apply for My Passport? You should apply for your passport as soon as you decide to travel abroad. It may take you a long time to assemble the required documents and get a passport application appointment. Applying early will save you money, too, because you will not have to pay for expedited processing. What Are the Requirements for Using My Birth Certificate as Proof of Citizenship? On April 1, 2011, the US Department of State changed its requirements for birth certificates used as proof of citizenship for passport applications. All certified birth certificates submitted as proof of citizenship must now include the full names of your parent(s). In addition, the certified birth certificate must include the full name of the passport applicant, his or her date and place of birth, the signature of the registrar, the date the birth certificate was issued and a multicolored, embossed, raised or impressed seal from the birth certificate's issuing authority. The issuance date of your birth certificate must be within one year of your birth. The birth certificate must be original. No photocopies will be accepted. Notarized copies will not be accepted. What If My Birth Certificate Does Not Meet State Department Requirements? If your birth certificate does not meet these requirements and you wish to apply for a US passport, you may submit another primary proof of citizenship document. Examples include your naturalization certificate, a citizenship certificate or a Consular Report of Birth Abroad or Certification of Report of Birth, which is a document that is issued by a US embassy or consulate when a child is born outside the US to a parent who is a US citizen. You may also submit secondary proof of citizenship if your birth certificate does not meet the State Department's requirements or if you do not have a birth certificate. The documents you submit should include your full name and date and place of birth. If possible, submit documents created before you were six years old. You must provide the State Department with at least two of these four secondary proof of citizenship documents. These secondary documents will provide the State Department with a clear record of your citizenship. If you are relying on documents from your early childhood to prove your US citizenship, submit as many documents as you can so that the State Department has plenty of evidence that you are a citizen. What Will Happen to the Documents I Submit With My Passport Application? The passport office staff will take your application, passport photo, birth certificate or other proof of citizenship, copy of your government identification card and passport fee and submit all of these items to the Department of State for processing. 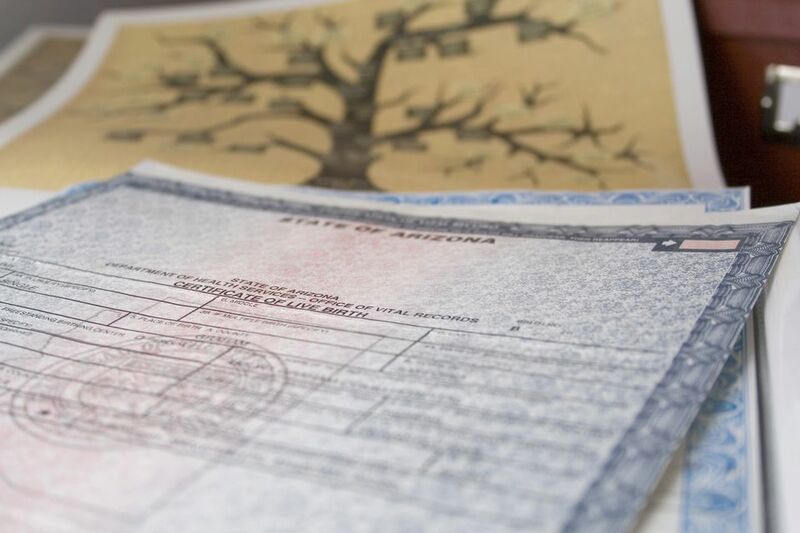 Your birth certificate or proof of citizenship documents will be returned to you by mail. You may receive your passport in a separate mailing, or your passport and documents may arrive together. For more information, visit the website of the US Department of State.